As part of the Sweet Nothings commitment to supply products that are ‘Nothing but the Best’, we ensure that our products are made from the best ingredients and packaged in high quality packaging. We ensure that the manufacturing processes meet international regulated quality standards. Our local manufacturing facility meets stringent international quality standards for manufacturing and packing. The facility is ISO22000 certified and regularly audited by SGS International, a Swiss certification body. In addition, the facility undergoes regular audits from customers, to ensure that quality standards meet their exacting requirements. Our raw materials are responsibly sourced, from companies that meet international quality standards as prescribed by the Global Food Safety Initiative, and are certified by leading international audit companies. We visit our suppliers to verify compliance with these international standards. In addition to meeting international quality standards we endeavor to source materials that are of natural origin and made by are environmentally friendly manufacturing practices. We only use raw materials that are approved by international bodies for use as food ingredients. We review all raw materials from a risk point of view to ascertain their suitability for use. We only use packaging suppliers that meet internationally recognized quality standards. This ensures that the packaging is safe to use for our products and safe for you, the consumer. We conduct regular verification activities with our suppliers to ensure on-going compliance with quality requirements. All our products that are certified Halaal carry the Halaal logo. 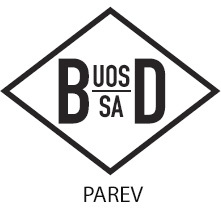 All our products that are Kosher certified carry the KOSHER/PAREV logo. Sweet Nothings Xylitol contains only high quality Xylitol. There are NO added chemicals.